A side table is always practical. Put the table next to your couch and you have your book, phone and drink at hand. And side tables are also very decorative in your home. Side tables are ideal multifunctional furniture. In fact, the small pieces of furniture cannot be conceived away from your interior. They are so handy. You put your cup of coffee or tea on it, and put your pile of magazines on it. A remote control, your phone. Everything at hand and still tidy. An extra table always fits in any interior. But because tastes differ we have side tables of several Scandinavian design brands for you. 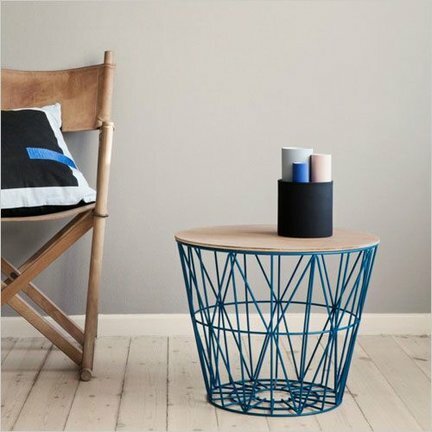 The wire side tables of Ferm Living, for example. Or the beautifully sleek side tables of By Lassen with a minimalist look.